The interest charged for a mortgage taken out to finance a home is known as a mortgage rate. Banks and lenders offer two types of loans: Fixed Rate Interest The interest rate applied to this type of mortgage will not change for the length of the term agreed to. Fixed rate mortgages allow you to easily budget from month to month, although it is the most common mortgage on the market it fits best to those who plan to stay in the same home for several years, or are refinancing and are going to keep living in the same house. The main disadvantage to a fixed rate mortgage is that you could end up paying a higher amount depending if the interest rates are lower or higher over the life of your loan. Adjustable Rate The adjustable rate, also commonly referred to as an adjustable rate adjusts periodically; it will move up or down as market interest rates change. If you decide to choose an adjustable rate mortgage (ARM), the interest rate may go up or down depending on the market. Usually ARMs have a lower interest rate in than their fixed counterparts. Variable-rate mortgages are more flexible and can help you obtain a lower monthly payment. This type of loan rate fits to those that expect to live in a house just for a few years and to those who plan to pay off their loans quickly. Mixed Fixed Rate and Adjustable/Variable Rate Mortgage You have the possibility choose a mortgage where, for a defined period of time, the interest rate is fixed and afterwards the loan interest rate reverts to an adjustable rate. This type of mortgage starts with an initial fixed rate that will stay the same for months or years. When this introductory period is over, your interest rate will turn into an adjustable mortgage rate. In most cases the amount you will have to pay will probably go up. To get an idea of the market trends you can check what the past and current rates are at in your state and nationally here. You will probably hear quite often the term “mortgage point”. There are two major types of points: negative and positive mortgage points and one point is the equivalent of one percent of the total loan. Negative mortgage points when applied can reduce closing costs by slightly increasing your interest rate. Positive mortgage points also known as discount points or pre-paid interest are upfront payments that lessen the overall cost of your monthly payment; however applying discount points will also increases costs at closing. By paying any of these two one-time fees you can adjust the rate that you are being offered as well as the closing costs. What type of points should you choose, if any? There is no right answer when dealing with mortgage points. The answer is influenced by your financial needs and home-buying purpose. Depending which is the case either one might work. You can also talk through your options with your mortgage broker. It is important to comprehend the numerous fees you will have to pay when you take out a loan. Here's a breakdown of the most common fees Mortgage Origination Fee This fee is probably the most common in the industry. This fee is related to the completion of the mortgage process; from the moment you submit your financial information to your mortgage broker or to any bank or lender. The amount is usually calculated as a percentage of the loan amount and is paid at closing. 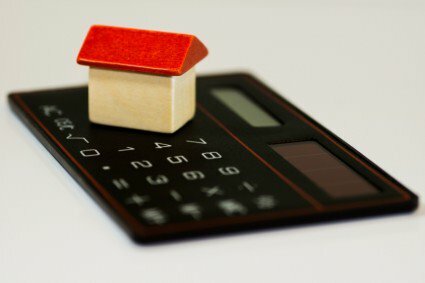 Mortgage Appraisal Fee Almost every loan product requires an appraisal in order to determine the value of the property, and consequently the loan-to-value ratio, an important factor in determining cost that can only be known after valuation. Processing & Underwriting Fees Both of these fees cover a wide variety of things related to preparing the loan through every step and associated paperwork and researching whether or not your loan application should be accepted and the loan approved. As you can see there are quite a few variables that can affect the outcome of your mortgage transaction. This is why you need a mortgage broker such as Casey Moseman, CMPS. Be a responsible consumer and find the loan that not offers just a good interest rate but it’s a good deal overall.